Laura Tankenson is the Vice President, Environmental, Health and Safety (EHS) for Paramount Pictures Corporation. In this role, Laura directs the design and implementation of all Paramount Pictures studio-related environmental, health and safety programs. In addition to EHS, Laura oversees the Fire Safety and Medical Operations for Paramount Pictures. 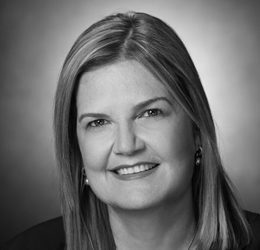 Previously, Laura served as Senior Vice President, Environmental Health & Safety (EHS) for NBCUniversal, where she led the overall development, implementation, and management of EHS programs throughout the organization. Laura’s global team oversaw all aspects of EHS compliance and supported all divisions of the business, including Broadcast and Production facilities, Owned Television and Telemundo Stations, News, Sports, Cable, Television and Feature Production, Live Theater, and Theme Parks. During her 25+ year tenure, sites and productions across NBCUniversal implemented numerous “best in class” EHS programs and achieved impressive reductions in injury and illness rates. Prior to her Senior Vice President role, Laura served as Vice President, Environmental Health and Safety for all NBC global EHS operations. While in this position, Tankenson successfully managed the 9-11 EHS response; anthrax clean-up at 30 Rock; and Telemundo, Universal and Dreamworks due diligence and integration activities. Laura holds a Bachelor of Science in Health Science/Industrial Hygiene from CSUSB and a Certificate in Process Safety Management (PSM) from USC. She has two daughters and lives in Agoura Hills, CA with her husband Dave.